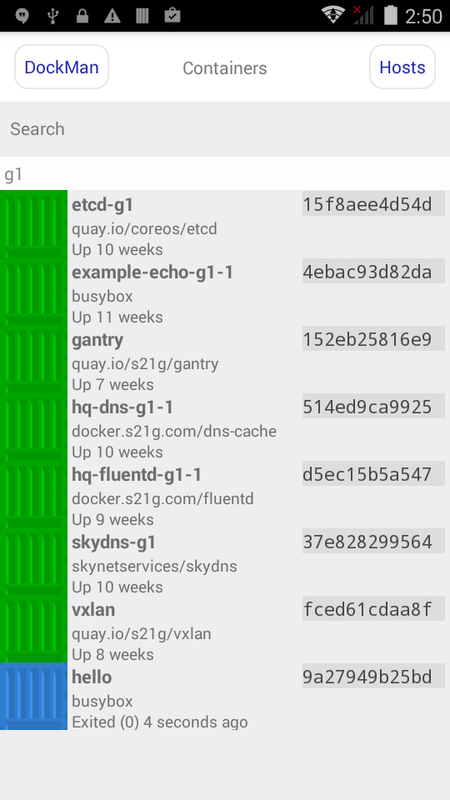 We announce the release of a new app "DockMan" (http://www.s21g.com/DockMan.html) for Android, which is handy Docker container manager. DockMan is on sale FREE for basic usage at Google Play Store. It has a paid content for unlocking all limitations at low price.